Not a big fan of college football, but this video could make me a fan of Ohio State University. On October 6, Ohio State University played against Nebraska. 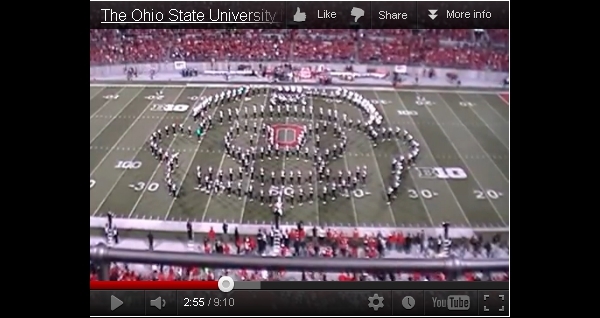 At the half-time show, the Ohio State University Marching Band did an amazing tribute to videogames. The band featured Legend of Zelda, Halo, Pokemon, Tetris, Super Mario Bros, and Pac-Man. 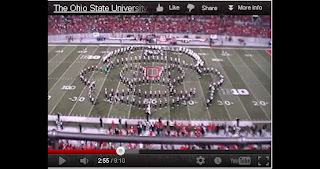 Not only did they play the songs, but the band members arranged themselves to form logos and even screenshots of the games. As a former band geek, wish we could've done something that cool! Must say, the horse is the most impressive! That would be difficult to do. Wow. That was awesome. I agree with Alex. Making the motions of Epona must have been hard.